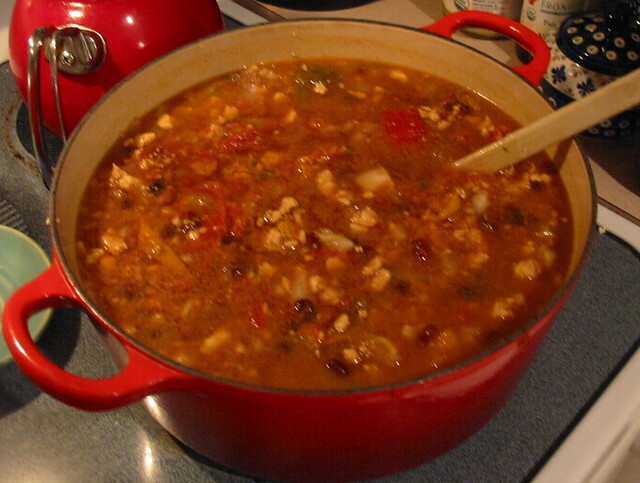 Vegan Chili Madness Unleashed: Saturday, April 26, 2014, 5:00 pm! The seventh annual Wake Up Weekend Vegan Chili Cook-off is right around the corner. So bring it. Your best, most creative, most beautiful vegan chili. We’ve removed all barriers to entry. No fees! No cost to attend! A chance to put your best chili chops on some of the most discriminating palates in the area. 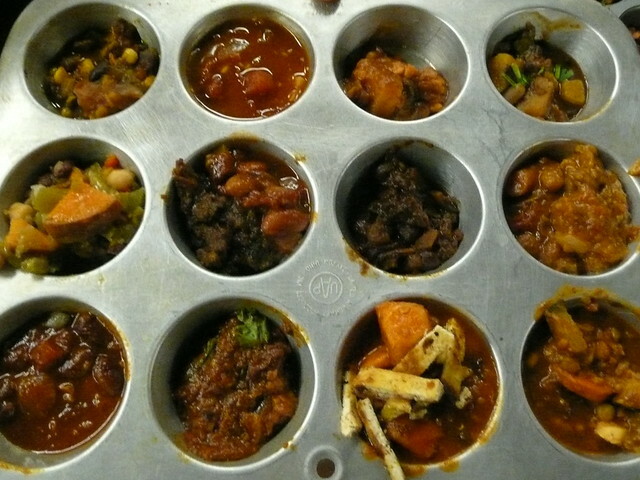 But whether you’re coming as a competitor or a taster, *please bring your own dinnerware/muffin tin (see below), utensils, cup, and non-alchoholic beverage (if you’re thirsty)*. We want this event to have the smallest possible carbon footprint, and bringing your own washables or compostables can help us with that. Also, please consider doing your forgetful neighbor a good turn and bring a couple extra plates or utensils to share! -Give us a heads-up (if you can–we get that sometimes the mood strikes late) at wakeupweekend@gmail.com. -Bring enough vegan chili to serve 10-12 hungry adults. We recommend a crock pot or some other contraption that will enable you to KEEP IT HOT! -Prepare to win fabulous prizes of delicious products and glitzy swag from Tofurky, Beanfields Chips, Field Roast, and Mercy For Animals, assuming–of course–that you’ve got what it takes to dethrone last year’s triple-crown Champion Laura Mulder (who has eschewed our invitation to the judges panel to battle it out with all comers again this year)! – Try some killer vegan food from local restaurants including Bartertown, Brick Road Pizza, and Wednesday Evening Cookies, and enjoy some amazing samples of the best vegan convenience foods out there from Tofurky, Beanfields Chips, and Field Roast. – Bring your own beverage*–some for you, some to share: water, almond milk, juice, kombucha, coconut water–you know, something to drink.